Sean Price was a rapper and member of the hip hop supergroups Boot Camp Clik and Random Axe. He came to prominence as one-half of the duo Heltah Skeltah, performing under the name Ruckus, or Ruck for short, along with his partner, Rock. Unfortunately, on August 8th, 2015, Sean Price passed away in his sleep in his Brownsville, Brooklyn home. He was 43 years old. 86 Witness is the fourth posthumously released project by the Brooklyn rapper. Although there are some solid rhymes on this 30-minute record, it feels a bit redundant and rough around the edges, which is to be expected, as I assume there isn’t much material to work with anymore. Small Professor still continues P’s legacy on this project, and that much is commendable and makes this short project worth a listen. Production is handled all by Small Professor, hence the co-artist credit. Price’s former rhyme partner, Rock, is one of two of the cuts on this project. Some other notable features include Quelle Chris, who offers a clever guest verse on ‘Latoya Jackson’. Quelle Chris is dropping a new project on 3/29 called Guns. His collaborative project with Brooklyn rapper Jean Grae last year, Everything’s Fine is great. Your Old Droog’s contribution on ‘John Gotti’ is also worth mentioning, and hopefully a sign of new music from the upcoming Brooklyn rapper. 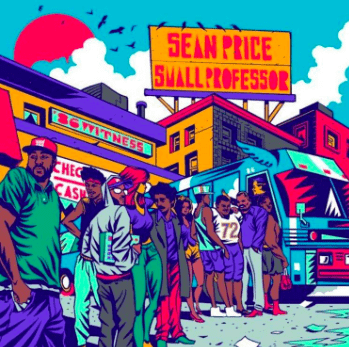 Despite 86 Witness being mostly remixes and different versions of already existing songs, the new content, and work by Small Professor is enough to warrant at least a listen through, if not at least to pay respect to an MC who has paid his dues.